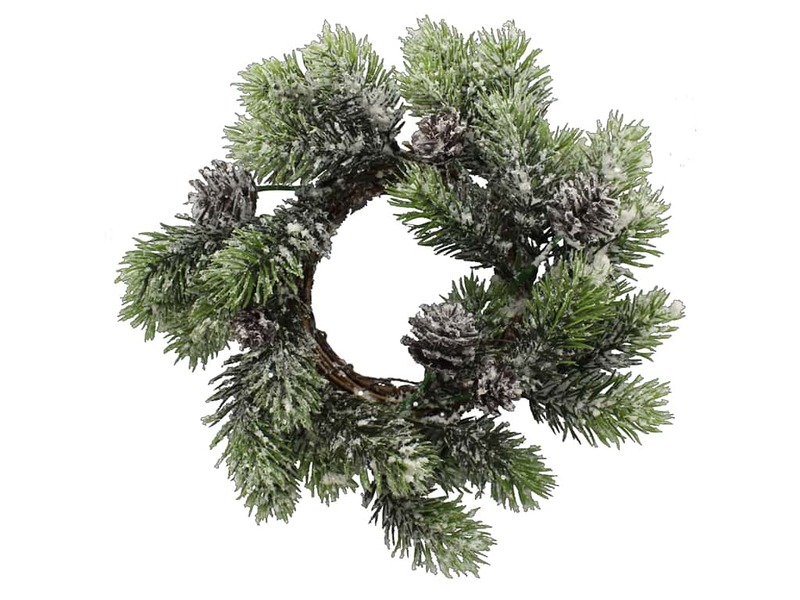 Description: Sierra Pacific Crafts Pine Candle Ring is made of twigs, has plastic pine boughs and pinecones. All covered in fake snow and silver glitter. Measures approximately 10 inch outside, and 3 1/2 inch inside.